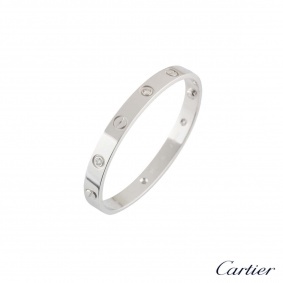 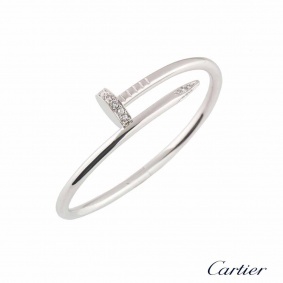 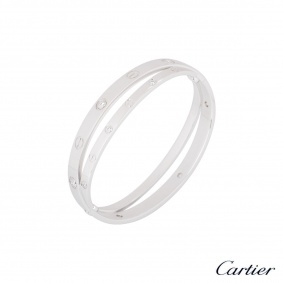 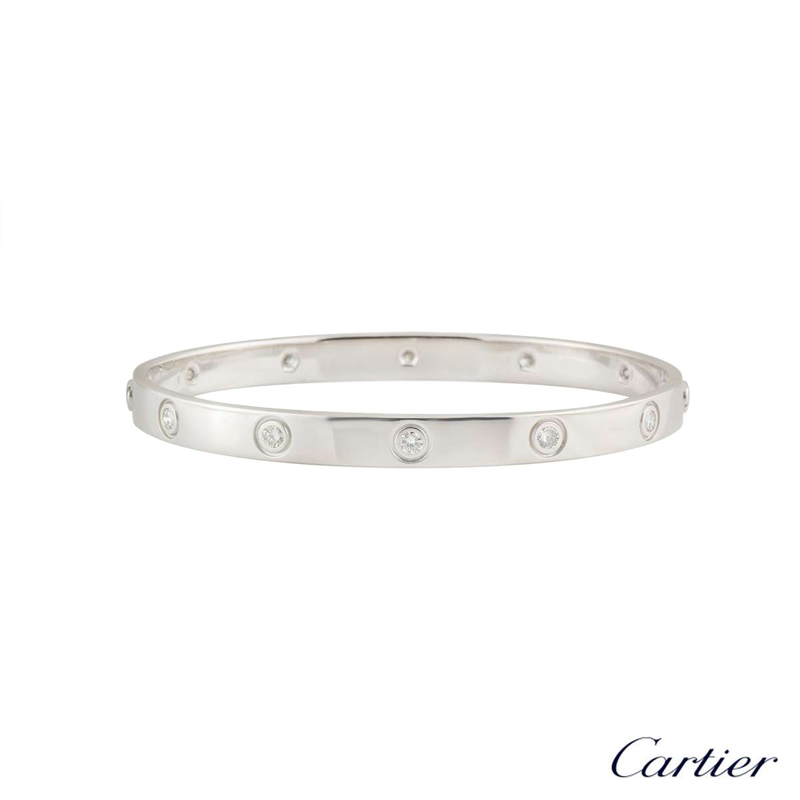 An iconic 18k white gold full diamond Cartier bracelet from the Love collection. 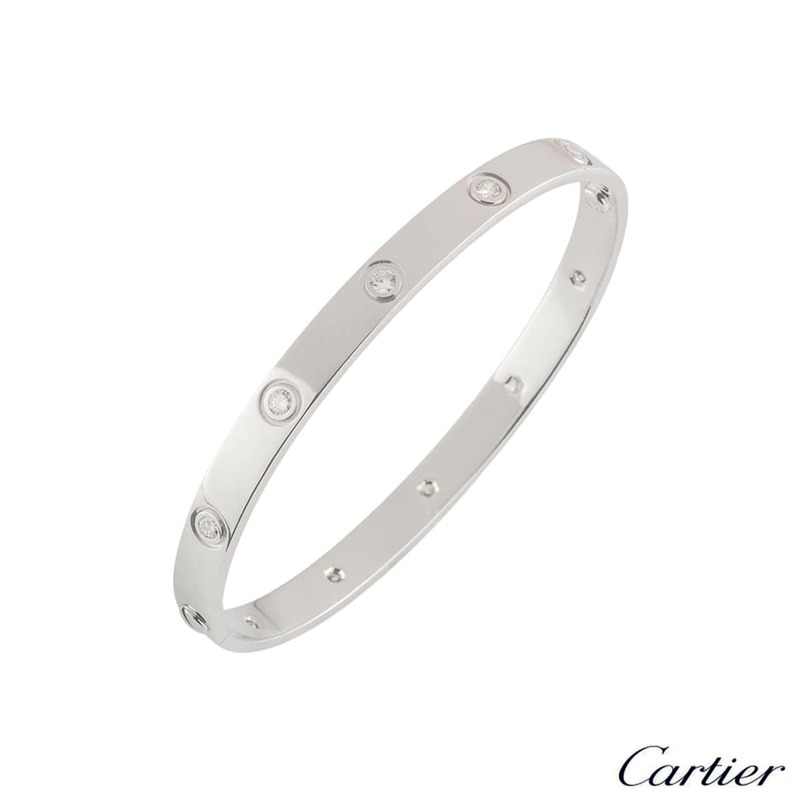 The bracelet is set with 10 round brilliant cut diamonds circulating the outer edge in a rubover setting, totalling 0.96ct. 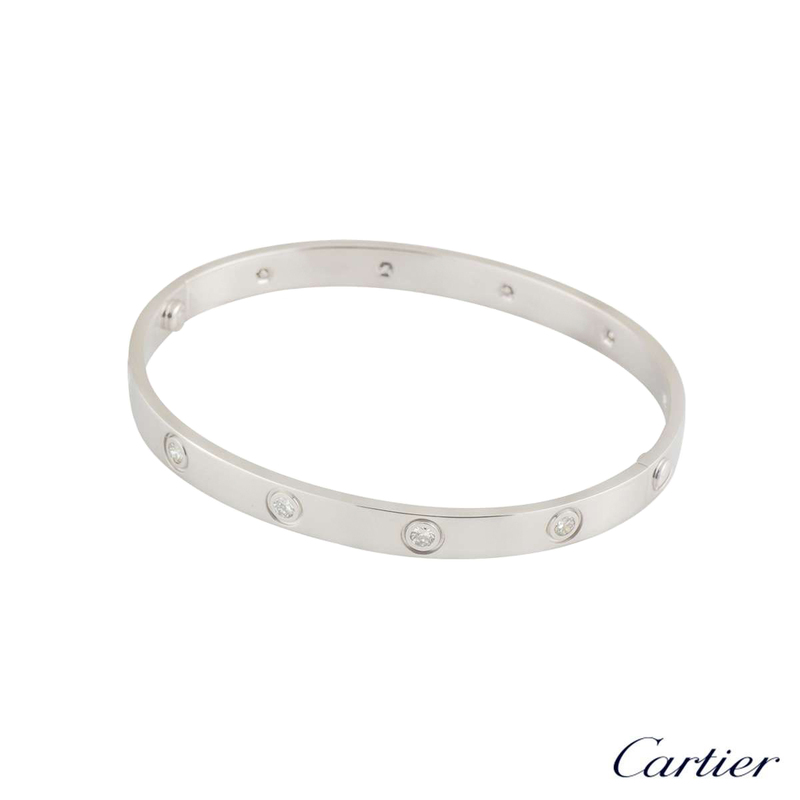 The bracelet is size 19 and features the old style screw fitting and has a gross weight of 34.77 grams. 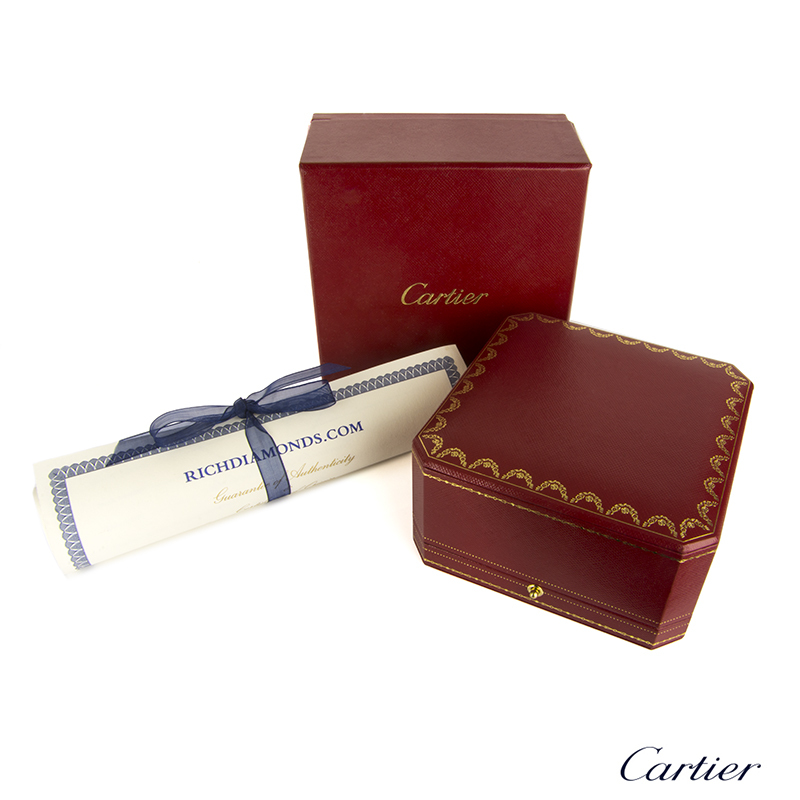 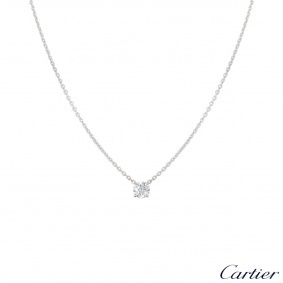 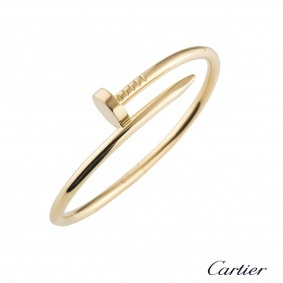 The bracelet comes complete with a Cartier presentation box and our own certificate of authenticity.